Are you more of an angel or a devil? Of course, I speak in terms of food cake. I swing both ways! There is something wonderfully decadent about devil’s food cake that drives me wild. Then again, how could it not with its deep, dark, chocolately layers filled with scrumptious frosting in between? However, there are times when I am feeling quite angelic. 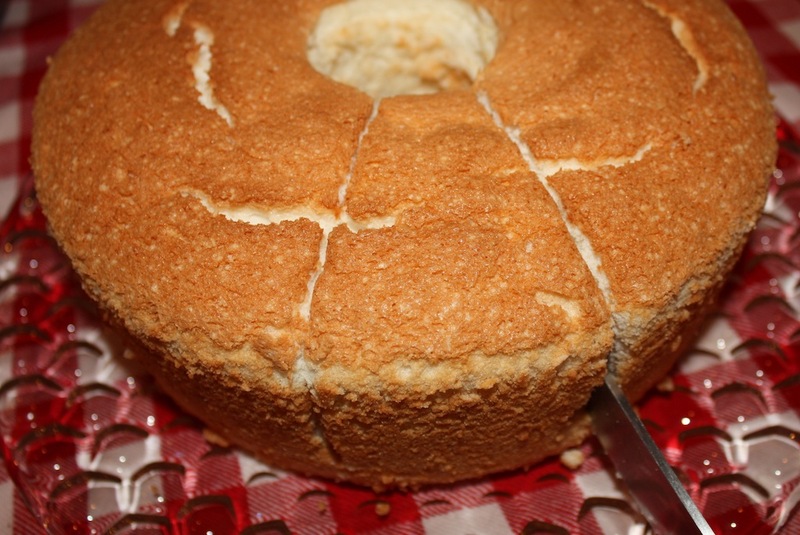 Just a reminder…we are still talking about cake! Just as angels and devils are as opposite as one can imagine, so too are their respective cakes. 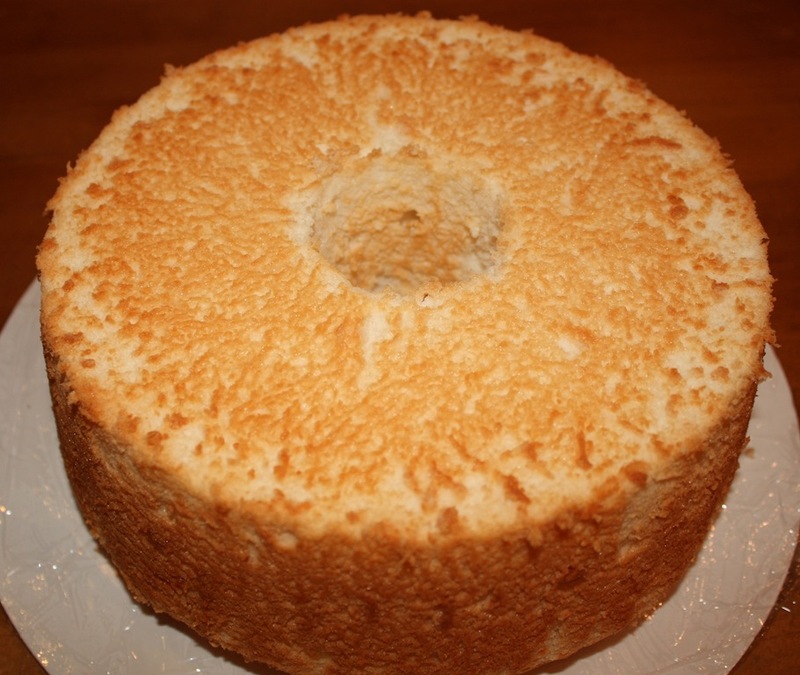 Angel Food Cake is one big light and airy dessert. 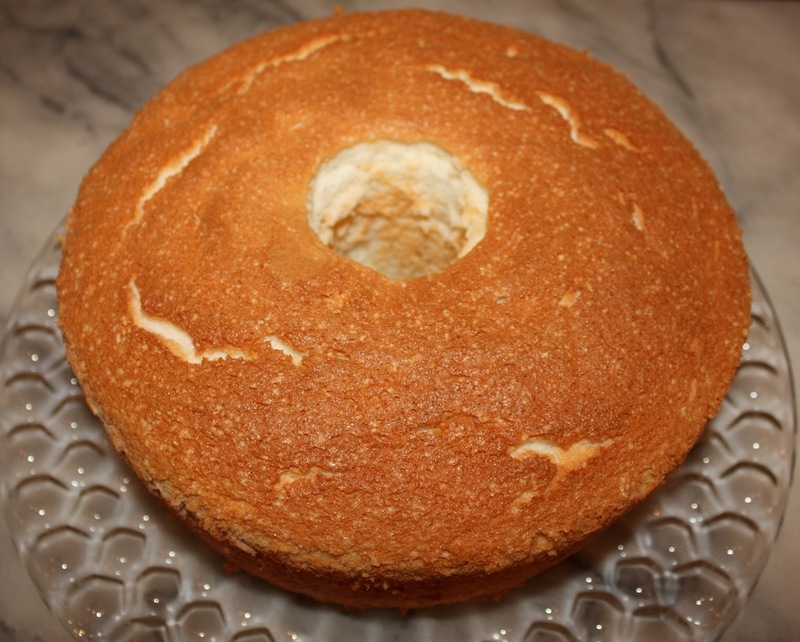 As I was making my Angel Food Cake for this post, Samuel came in and repeated over and over again, “I wish there weren’t eggs in it so I could eat the cake before it bakes.” And each time I responded by telling him that this cake would not exist were it not for the egg whites. While it baked in the oven, the smell was making all of our mouths water, thanks to the lemon juice, vanilla extract and almond extract. 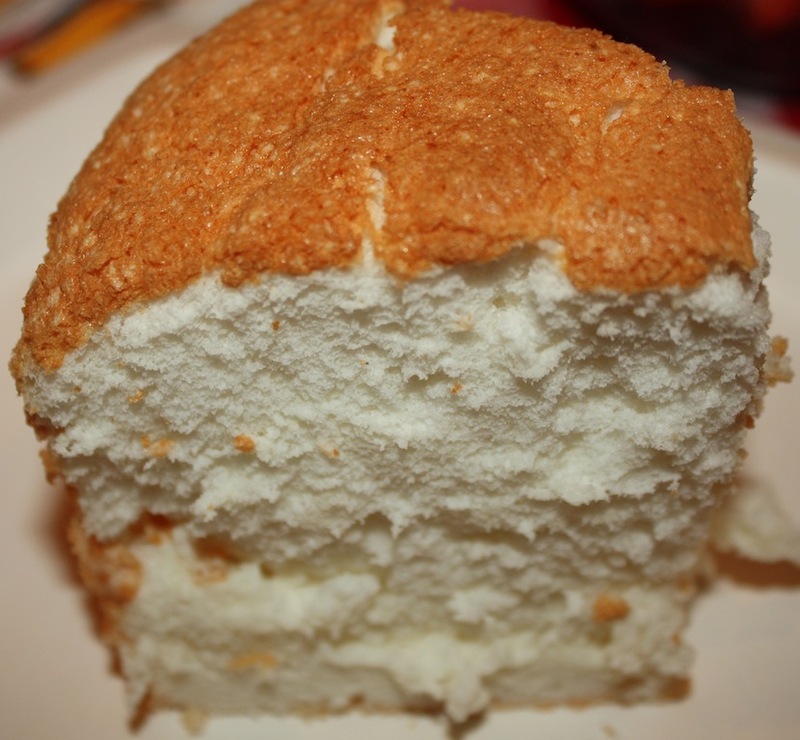 I have never tasted an Angel Food Cake that is more flavorful than this one and the consistency is spot-on. With Valentine’s Day around the corner, I had to add a splash of color to this very white cake. Macerating strawberries and blueberries in confectioners sugar and raspberry liqueur did the trick. 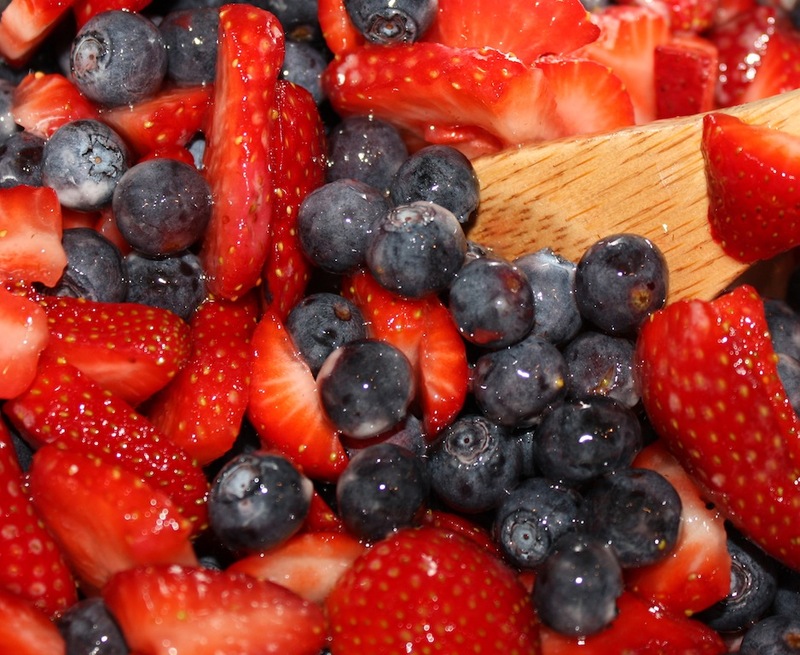 If you only want red fruits for the holiday, delete the blueberries and opt for either strawberries by themselves or mix them with some raspberries. Still not convinced that you should give this a try? 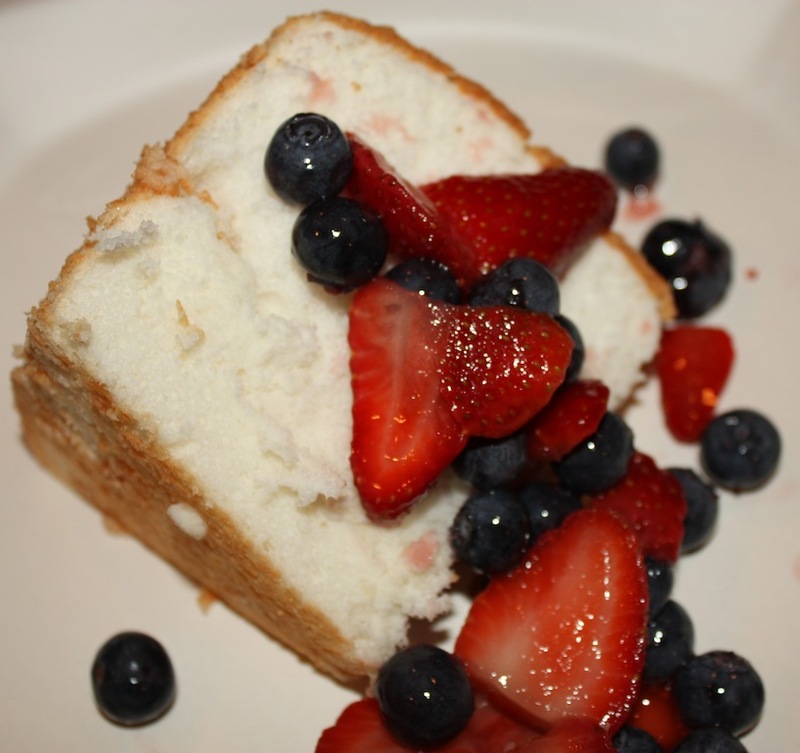 How about this thought…Angel Food Cake will surely put a little halo over your head…or so it seems! Preheat oven to 325°. 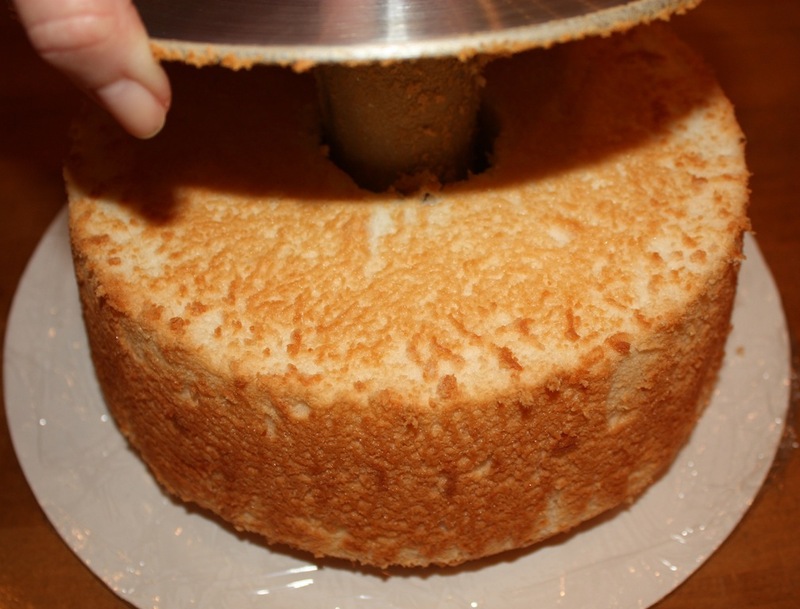 Set aside a 9¾” or 10” angel food cake pan with removable bottom. 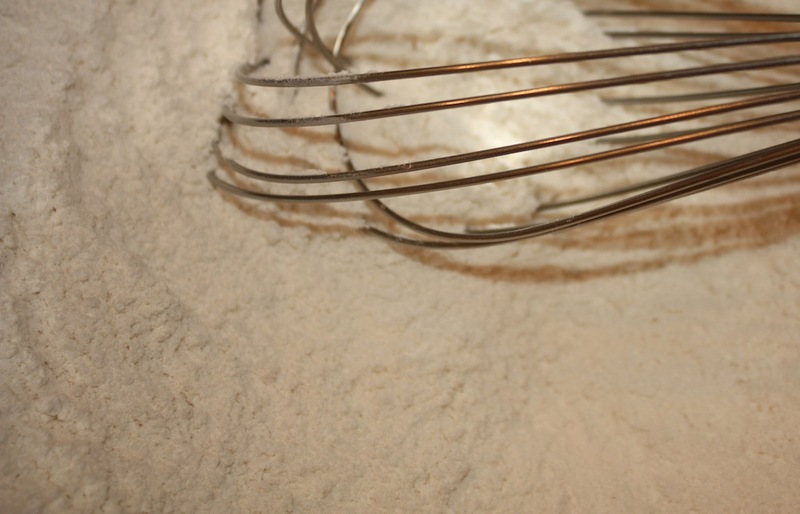 Whisk together flour with ¾ cup sugar. 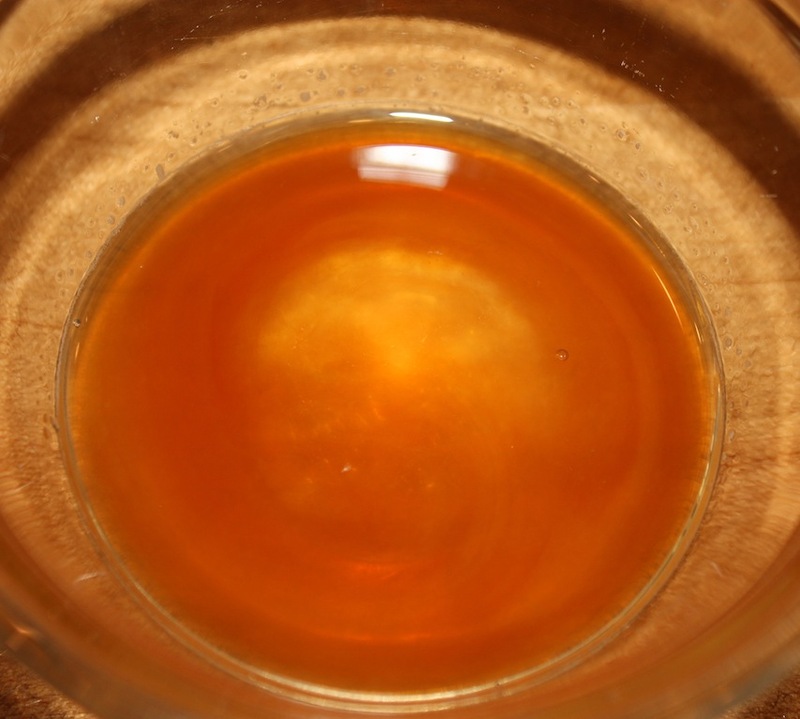 Place remaining ¾ cup sugar into liquid measuring glass. 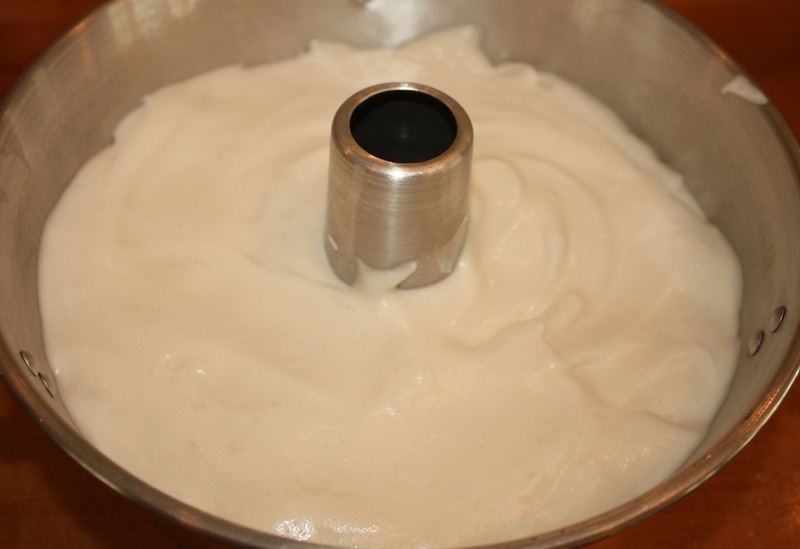 Combine vanilla, lemon juice and almond extract in small bowl and set aside. 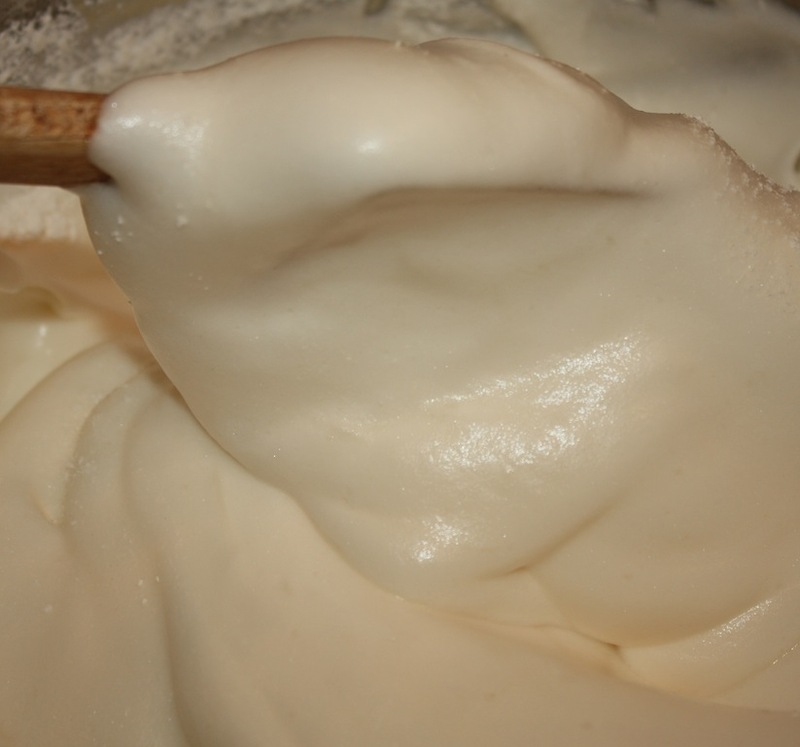 Place egg whites into large mixing bowl fitted with metal whisk attachment. 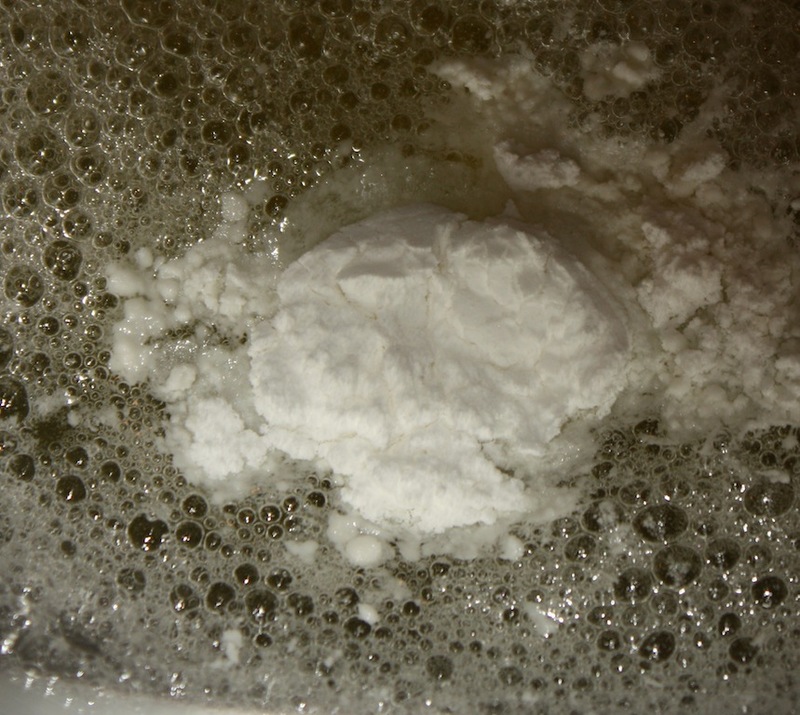 Beat on low speed until beginning to froth. 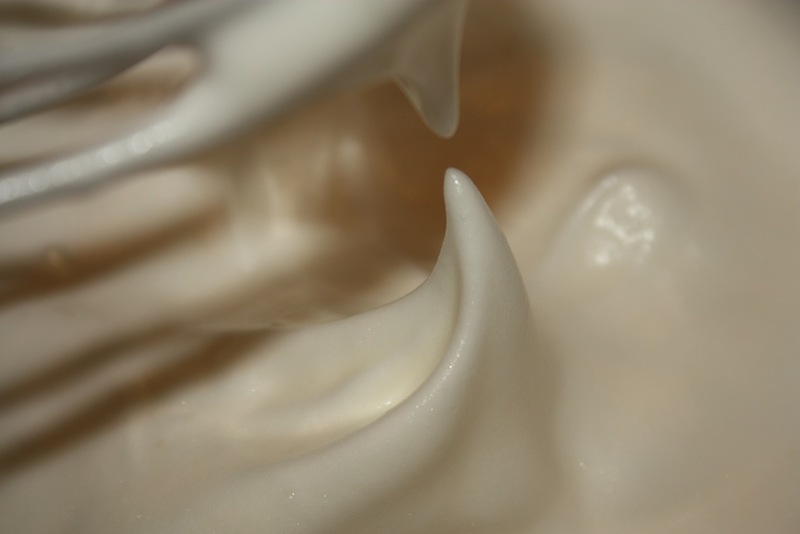 Beat in cream of tartar and salt on medium speed until very soft peaks form. 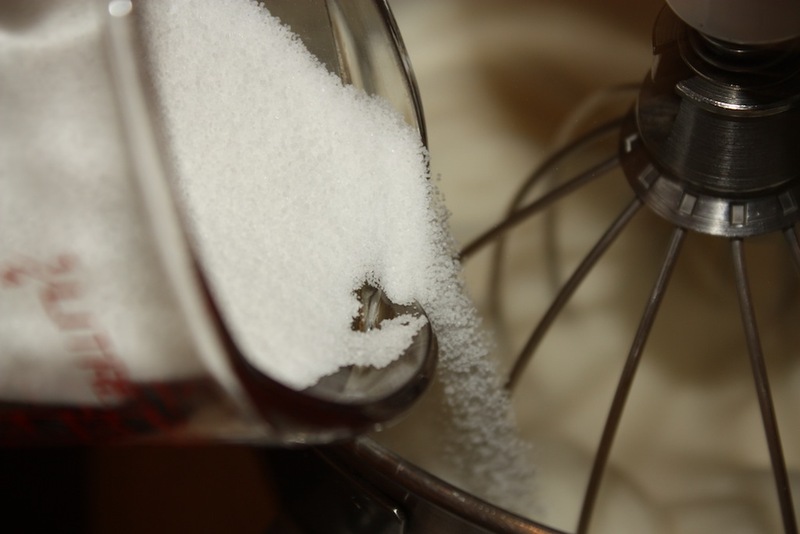 With mixer is on medium speed, gradually beat in ¾ cup sugar. 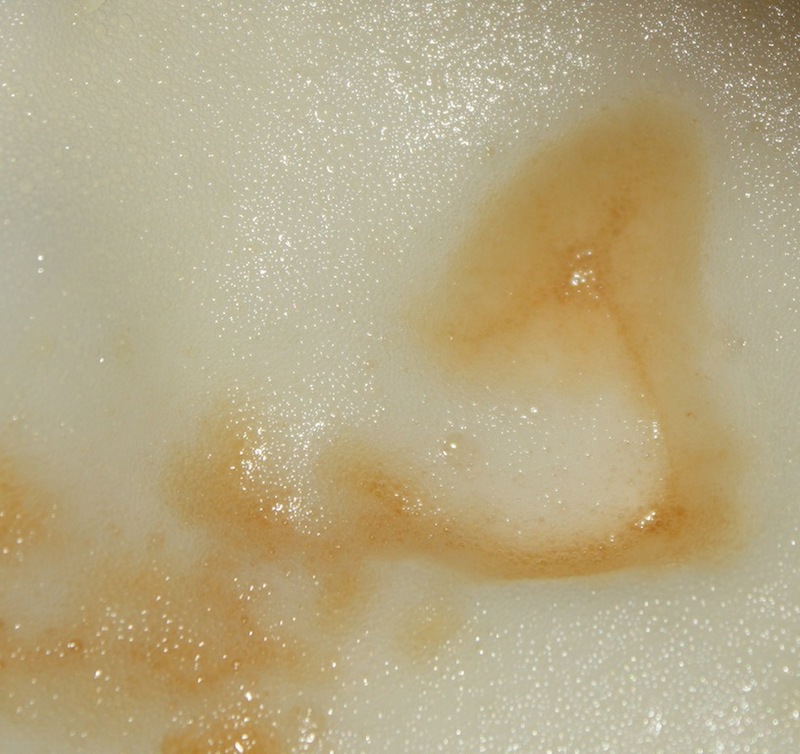 Beat until soft peaks form. 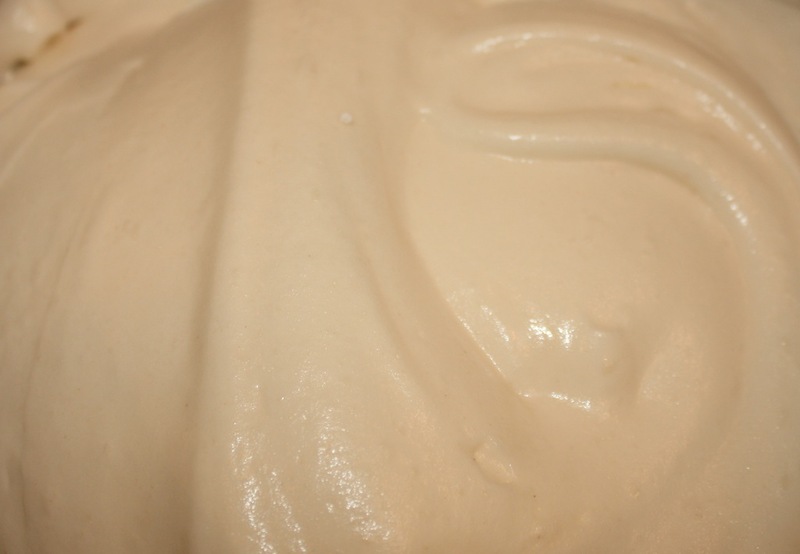 Blend in vanilla, lemon juice and almond extract. Remove from mixer. 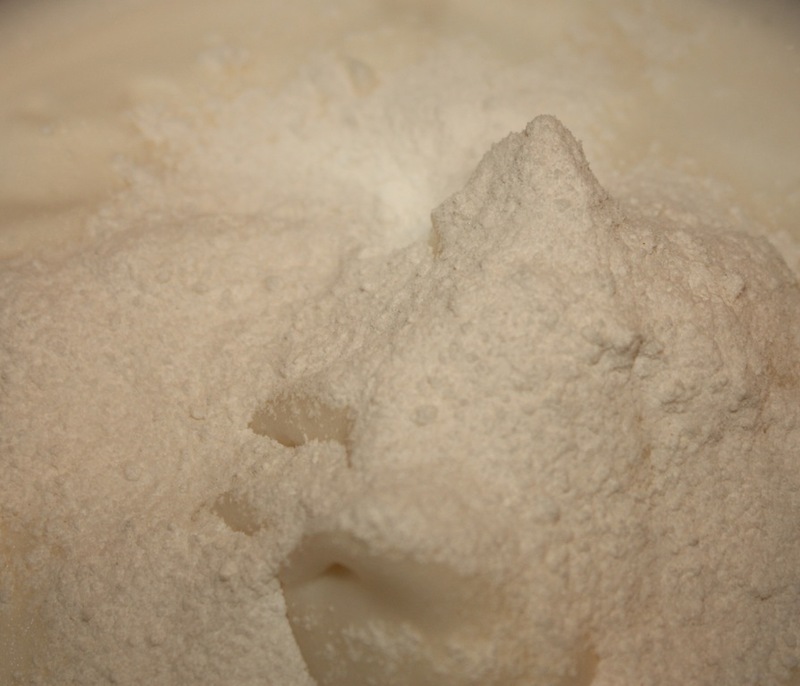 Gently fold in flour/sugar mixture, 3 tablespoons at a time. 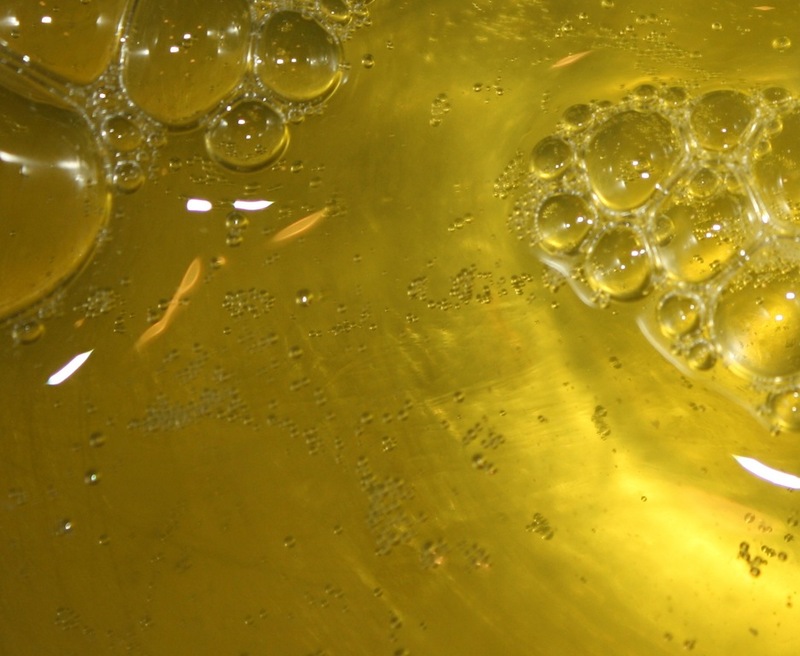 Gently transfer batter to ungreased pan, smooth top and rap pan against counter several times to release large air bubbles. 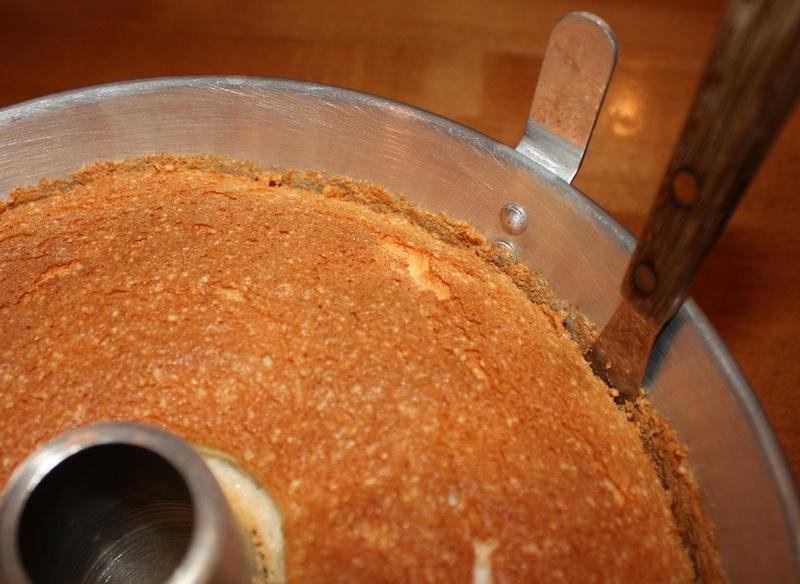 Bake in lower third of 325° oven for 50 minutes until cake is golden brown and top springs back when pressed. 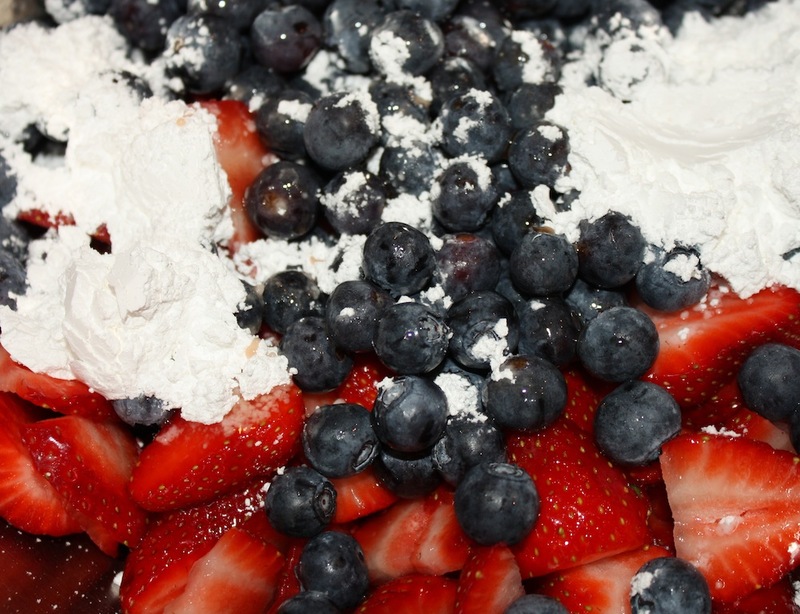 Combine strawberries, blueberries, confectioners sugar and raspberry liqueur in medium bowl. 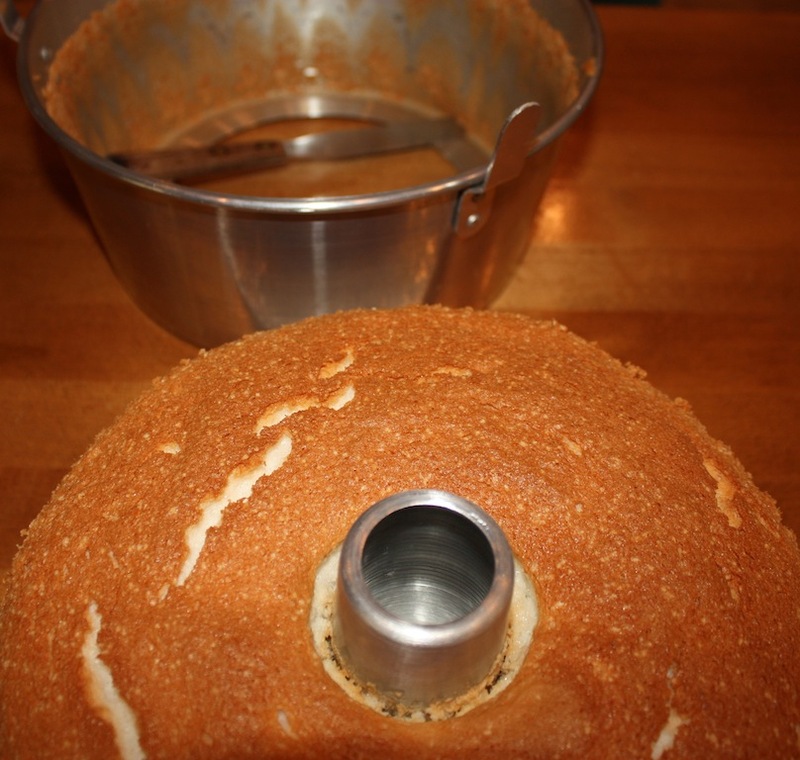 Macerate while cake cools. 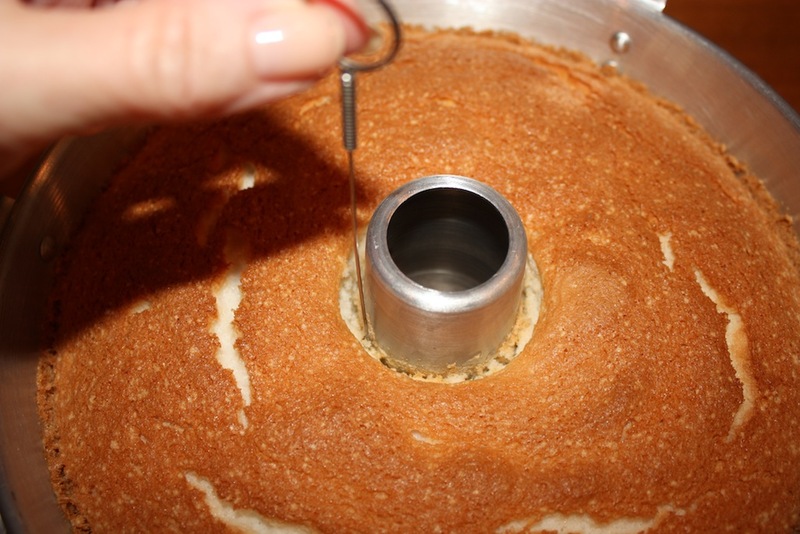 Once cake is cool, use a long cake tester to go around inside edge of tube. 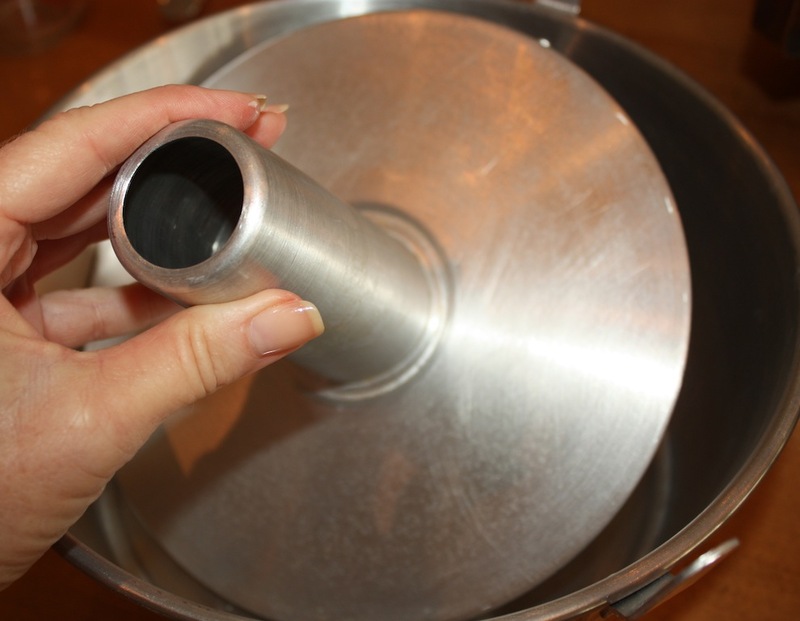 Use small metal spatula to go around outside edge of pan. 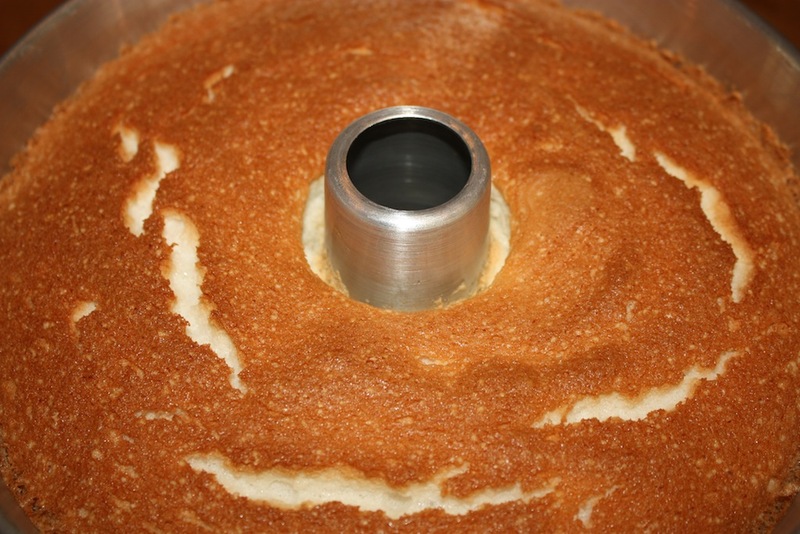 Pull tube up so cake comes out of pan. 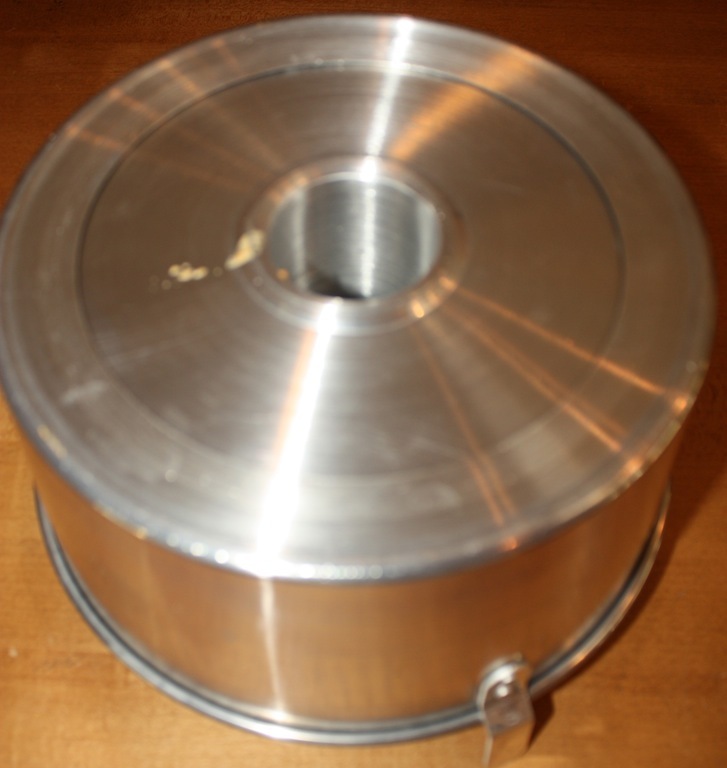 Slide metal spatula between cake bottom and pan to loosen cake. Invert onto a plastic covered cake board. Cake will slide down. Remove bottom of pan. Invert onto cake plate. 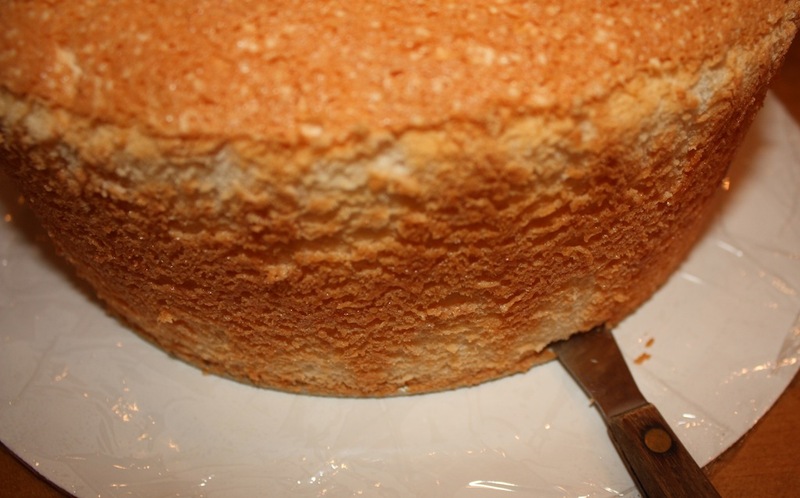 Cut slices with serrated knife or use two forks to cut through. The serrated knife will produce a cleaner slice. Top each slice with fruit.